Calvary Baptist Church Sanctuary - PWArchitects, Inc. This project involved the master planning and design for renovations to the sanctuary and lobby areas of Calvary Baptist Church in Columbia, Missouri. 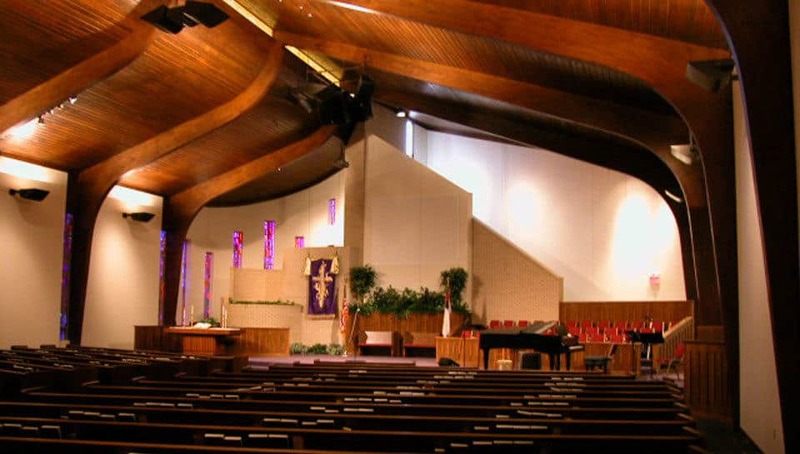 The church sanctuary which seats nearly 500 on two levels was modified to add a larger stage area. This new stage area added flexibility and interest to the Pulpit and Lord’s supper table configuration and included a built-in choir platform and music direction areas. The stage design is flexible to handle changing seasonal programs as well. The foyer for the sanctuary was enlarged to accommodate larger gatherings. It now enhances the experience of entry into as well as exit from the sanctuary. The design phase also included changing the finishes throughout the sanctuary and the lobby areas as well as upgrades to lighting and acoustics in those spaces.